Mz Menneh: From A Gender Inequality Activist to Talking Down At Female Bloggers "Liberian Female Bloggers Are Nothing But Single Women"
Within less than a month, after receiving an ovation from the female bloggers for such courageous step, early this morning, Mz Menneh dropped a surprising diss song "Talk It" calling Liberian female bloggers "nothing but single women". In the song, she asked the fans to forgive the female bloggers because they are nothing but single women. Why is a 'women empowerment ambassador' using females relationship status to shame them? This is disgusting. Are the female bloggers the only singles within the industry? A lot of male within our industry are single, why are they not being signal out? 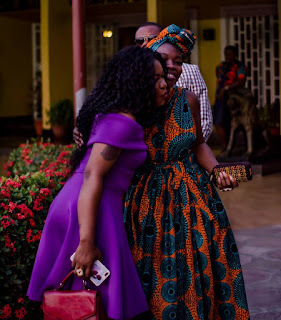 Why is MZ Menneh using the female bloggers relationship status to justified their misconduct, but didn't do the same for the DJs, Promoters, and the rest she spoke of within her song? I'm very disappointed. Well, check out this song for yourself.